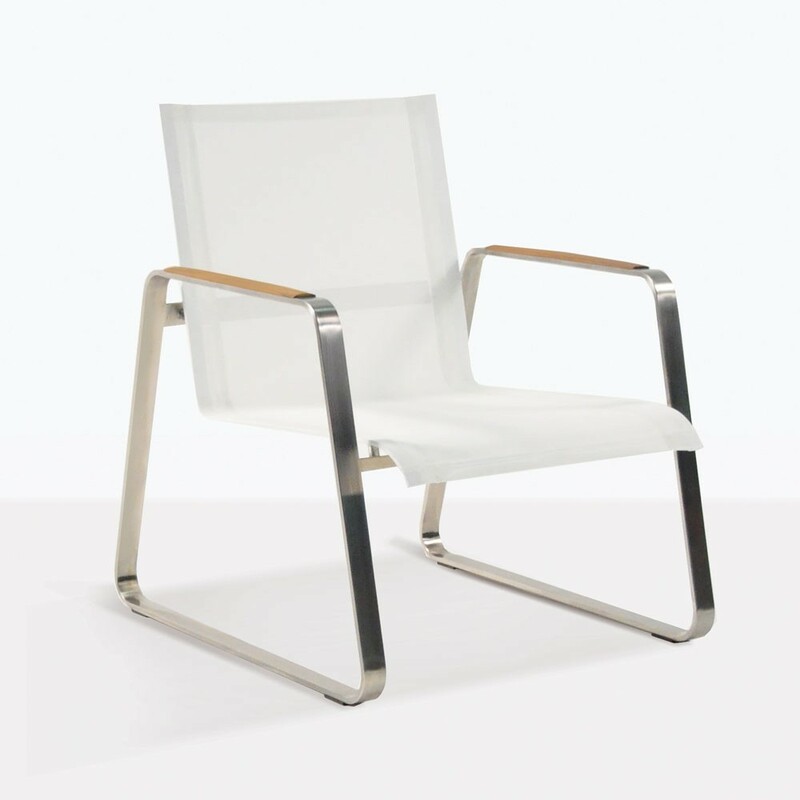 A simplistic and sleek design with spectacular materials come together to form the Summer Stainless Steel Batyline Relaxing Chair in White. This chair will make a statement in your outdoor space and immediately add taste and sophistication. 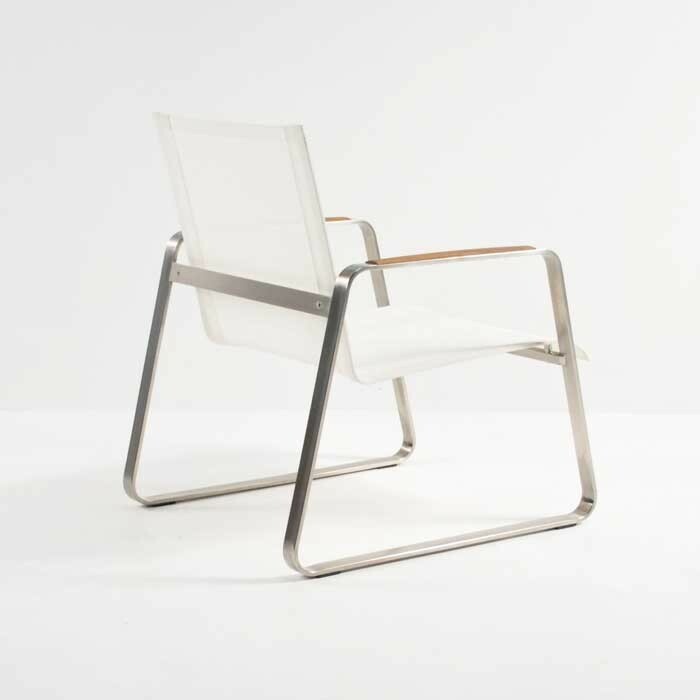 This chair is made with the best materials, the frame is marine grade #316 stainless steel and the seat is Batyline Mesh. The arms are finished with a-grade teak details. 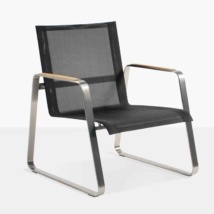 It is important to only use the best materials for outdoor furniture and you can be certain that is true with Teak Warehouse furniture. 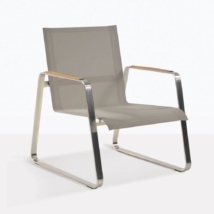 The Summer Stainless Steel Batyline Relaxing Chair does not need a cushion. 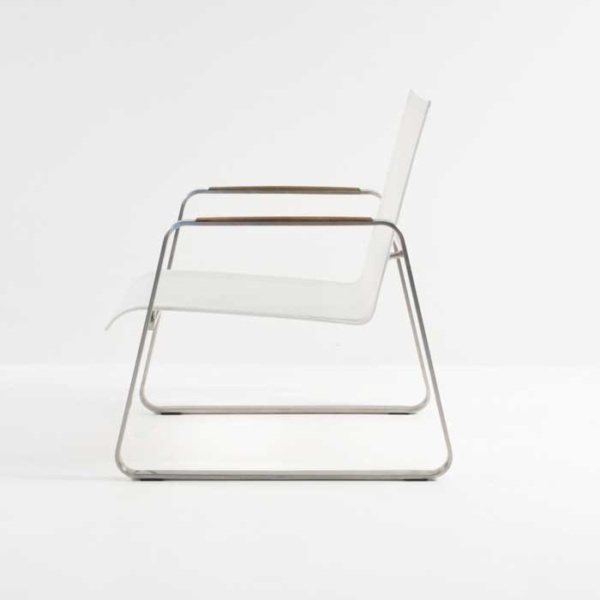 Batyline Mesh is strong, yet has the perfect amount of give when you sit. It is also easy to clean. W26" x D30" x H33"